A 15-year-old girl, identified only by her given name Sevgi, has been ordered to be separated from her foster family as her adoptive father has been briefly arrested over alleged ties to the Gulen movement. Adopted when she was only 5 years old, Sevgi now faces going back to the Gumushane orphanage she left 10 years ago. The Provincial Directorate of Family and Social Policies office in Gumushane has recently sent a notice to the foster family, declaring that Sevgi would be taken back from them on Nov 14. “The family begged [the authorities to reassess the situation.] But they were told that ‘the child will be taken back due to the father’s imprisonment.’ It doesn’t make sense to [the father] Mr. Recep as there is not even a final court order convicting him. Mr. Recep even paid a visit to Ankara and told [the officials]: ‘If I am the problem, I may divorce my wife whom I married 27 years ago lest this happy family portrait breaks down.’ But he got no result,” rights defender Omer Gergerlioglu wrote in his column on Artigercek online news portal on Monday. 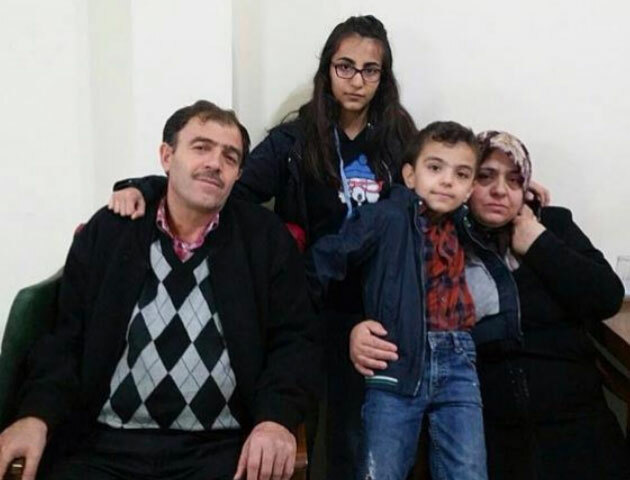 Arrested over Gulen links in the aftermath of the July 15, 2016 coup attempt, the adoptive father Recep Kilic, a small business owner in Gumushane’s Şiran district, spent a year behind bars before being released on judicial control very recently. Recep Kilic was already the father of two daughters when he and his wife decided to adopt Sevgi from the orphanage and became the first foster family in the Gumushane province 10 years ago. Why does the government separate children from their foster families? More than 150,000 people have been purged from state bodies, in excess of some 130,000 detained and over 60,000 have been arrested since the coup attempt. Arrestees include journalists, judges, prosecutors, police and military officers, academics, governors and even a comedian. An official from Turkey’s Ministry of Family and Social Policy in late November 2016 told media that authorities may remove children from homes if their guardians are found to be supporters of the coup attempt. He/she said it would not be right for a child to remain with a foster family if links to “FETÖ,” a phrase used by the government to refer to the Gülen movement as a terror organization, are confirmed as a result of investigations. The movement denies accusations.